A new edition of the Humble Bundle is here, this time with multiplatform games where you can get 3 titles for the price that you choose to pay. However, if you pay over the average, you will also get four games and some extra more that will be unlocked in a few days. Currently, the average is $4.86, so for $5 you can get these 7 titles plus the extras ones that will be unveiled soon. As always, some of the profits from the sale of these games goes to charity. The titles initially included in this release are: Symphony, Draw a Stickman: EPIC, and Galcon Legends. If we pay above the average, we also get: Fieldrunners 2, METAL SLUG 3, Skulls of the Shogun, and Breach & Clear. Let’s see a little detail in all these games. This is a funny game where music is the main protagonist. It is a vertical shooter where enemies advance to the beat of the soundtrack. Each completed song will give us some item to personalize and improve our ship, which will deal more efficiently and successfully with the more difficult levels. The Android version is still in beta and does not support all devices. We must first check the availability on the developer’s website. It is an original game that mixes RPG elements, puzzles and adventure in a curious mixture that will catch us from the start. 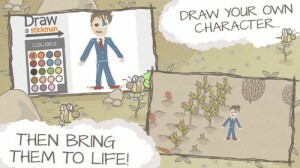 In Draw a Stickman: EPIC we draw our own character and join him on his adventures , drawing objects and solving puzzles throughout 14 levels . Depending on our choices, the evolution of the game changes, so every game is different. Galcon Legends, by Hassey Enterprises, Inc. 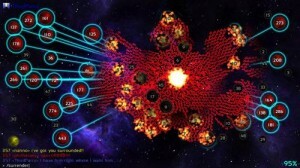 It is a strategy game where we try to conquer the planets of the galaxy to join them under our control. With the basic game, there are 23 levels with increasing difficulty, but we will also obtain the Galcon Fusion as a bonus, an arcade extension with multiplayer support. The following four titles will only be available if we do an above- average contribution. Skulls of the Shogun, by 17 -BIT. This is a turn-based strategy game where we will control a samurai army that fights against all kinds of fantastic animals. METAL SLUG 3, by SNK Playmore. It is a title well known among the enthusiastic of classic video games. Simple controls, pixilated graphics and two clear objectives: run and shoot. Fieldrunners 2, by Subatomic Studios LLC. A Tower Defense style game with a military theme. We must stop the fieldrunners invaders placing all types of defense towers along its way. Breach & Clear, by Gun. It is a complex strategy and simulation game where we will control a military unit to do all kinds of missions. We can choose between different types of real special units and test our tactics and skills.